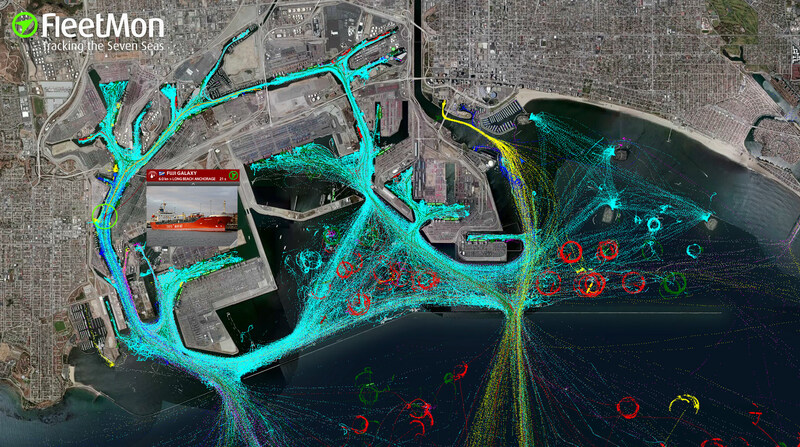 Simply visualize local and global shipping lanes, determine exact traffic areas in world wide ports and at sea. Follow patterns of movement and spot fast any anomalies in the area of interest. Filter vessel routes by vessel type and by Signal-Type (terrestrial or SAT-AIS). 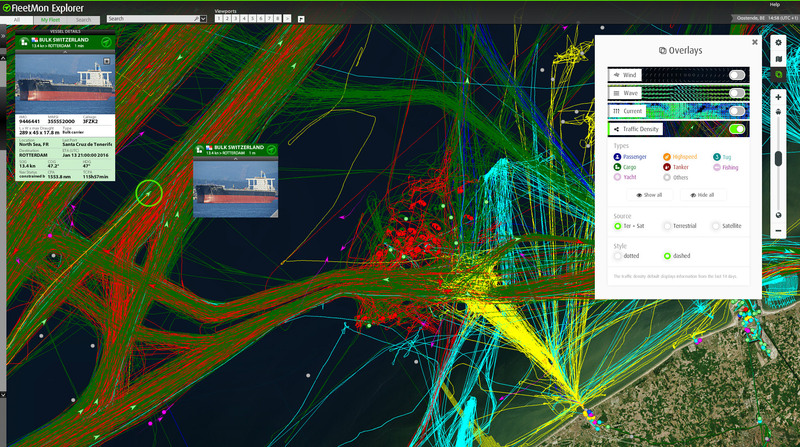 Inspect the routes of world wide fishery in real time. No GIS or ARCGis package needed. All available as an integrated Layer of FleetMon Explorer. 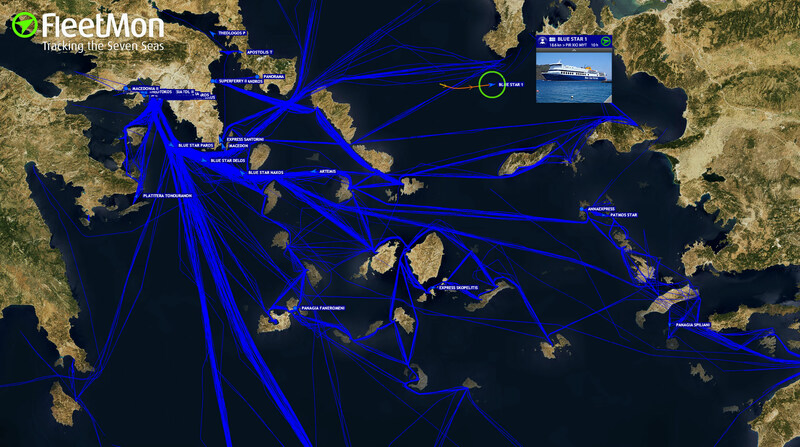 With your Unlimited Sat 15 and Unlimited Sat 50 account, all ship traffic for the last fourteen days will be presented by using the "Traffic Density Layer" in FleetMon Explorer. The Overlay-Layer can be found in the FleetMon Explorer in the right upper corner. Simply select the symbol with the 2 squares in it. How to enable the Traffic Density Layer? Additionally, you can view up-to-date weather information like wind, wave or currents. FleetMon Explorer will always store your configuration between the sessions.